We will plan your golf getaway from beginning to end. The McCumber Golf Experience is a 3 day golf outing designed for 3-8 people and includes your stay at a premiere Florida golf resort, The Sawgrass Marriott Golf Resort and Spa. The luxury oasis is nestled amid winding lagoons, moss-draped water oaks, twisted palms, and grand magnolias and is the finest coastal day spa in North Florida. Breakfast, lunch, and dinner will be provided in our Ponte Vedra restaurants during your stay. Most dining experiences will be at TPC Sawgrass where their award-winning culinary team will tempt your palate with the finest in Florida-inspired cuisine. Before and after instruction and golf, head inside the exquisitely constructed, majestic Mediterranean-style 77,000 square foot clubhouse where you can admire the history that decorates the walls. 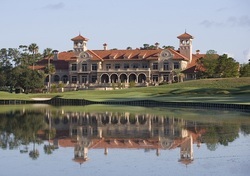 The TPC Sawgrass clubhouse blends elegant, old world charm with modern upscale amenities. You will be granted exclusive access to the private VIP locker room where you will have a personalized player locker. The clubhouse is a perfect place to relax, enjoy a cocktail on the lawn or verandah, and engage in conversation with Mark and Josh. 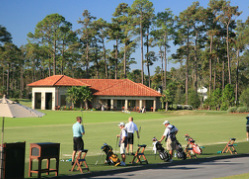 Play golf daily with Mark and Josh receiving on-course coaching at two of the top courses in the United States. 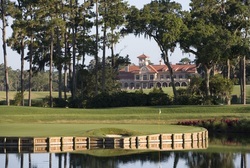 The PLAYERS Stadium Course is home to the PLAYERS Championship, annually hosting the best field in golf. The Dye's Valley Course is proud to currently host the Web.com Tour Tour Finals Championship, the training ground for PGA TOUR Champions. 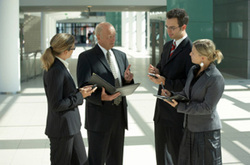 *We will customize the length of outing, the number of golfers and the dates to fit your needs. Mark is excited to work with you on your pre-shot routine at the world-class private practice facilities at TPC Sawgrass. We will improve your fundamentals and help you build your own unique routine that we will take to the course. Mark believes that developing a consistent pre-shot routine is one of the secrets to playing great golf and we will ensure that you go home with a pre-shot routine of your own to improve your game long after The McCumber Golf Experience. 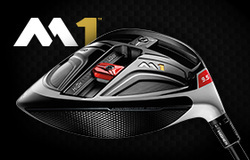 Enjoy The TOUR Academies Taylor Made Performance Lab Club-fitting Experience. We will make sure you are using the best equipment for your body type and swing style. Each student of the McCumber Golf Experience will receive a TPI Golf Fitness Assessment and Golf Fitness Handicap from certified TPI Golf Fitness Professional Josh McCumber. Learn how your body moves and how that influences your golf swing and game. Shed the suits and let Mark inspire you and bring out your best performance. The McCumber Golf Experience is happy to host your next corporate outing. Either at TPC Sawgrass or club of your choice, let us help customize the perfect day for your important clients and colleagues. Mark will give a clinic and play a few holes with every group. Let Mark entertain your group with dinner and cocktails the night before. Please contact Josh to set up your outing today!